Vertical single wall cylindrical tanks manufactured by using shell plates and dished ends made of carbon steel quality S235JR according to UNI EN 10025. Tanks are equipped with containment basin designed to hold at least 50% or 100% of the volume of fuel the tank is designed to contain. 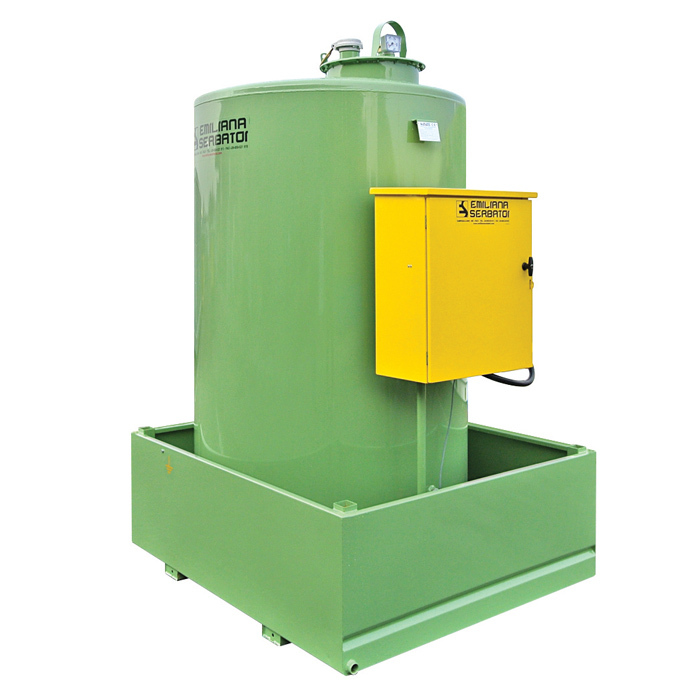 Tanks are also equipped with fuel dispensing cabinets or fuel dispensers. 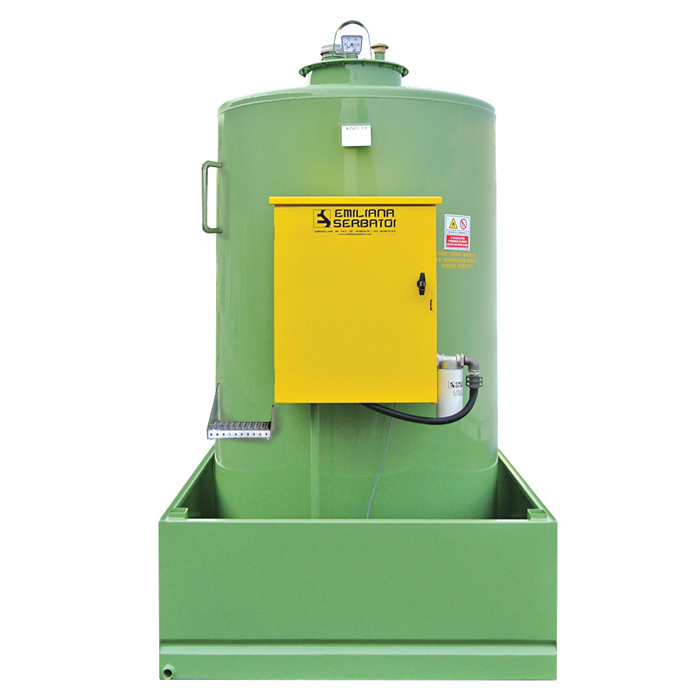 Available Nominal Capacities from 975 to 9000 litres (1300, 2400, 3000, 5000, 7000). Ø 400 mm manhole complete with oil gasket and tight bolted cover. 3” lockable filling quick cap. Mechanical overfill prevention valve calibrated to interrupt the fuel flow at 90% of the tank’s geometric capacity. Vent device with flame arrestor mesh. Mechanical float operated tank contents gauge. Tank drainage point provided with a safety cap for routine maintenance and cleaning. External suction point equipped with check valve, strainer and ball valve. Containment basin 50% or 100%. Option: roof system for protection against weather conditions. Minimum level pump shut-off switch.